It’s time for a quick update on how well using AdSwaps is working for me in building my newsletter or subscriber “list”, and I’ve got a couple of screen shots which I hope will make it clear just how good a method this is…. I was first introduced to the idea of “adswaps” back in August last year by another marketer called Sean Mize. He got in touch with me to ask if I would be interested in sending his free offer to my subscribers in return for him sending my free offer to his list. 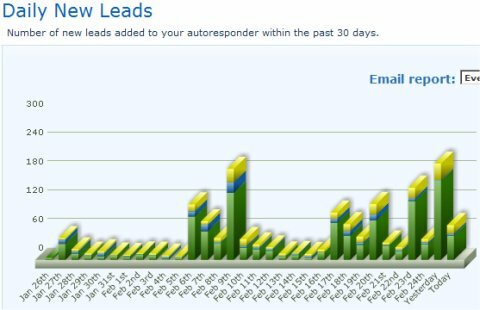 Now I was used to doing “JV’s” with other marketers where we each send out the other’s paid product offer to our subscribers, and both make some profits in the process, but I’d never done “free swap”, or “adswap” as Sean called it, before, so I was interested in testing it out to see just how well it worked. I gotta say I was pretty happy with the result. At the time I had around 5-6k subscribers on my list and you can see that whenever I did an adswap with a new partner it would result in an extra 100-200 confirmed optins for that day! You can quite easily spot the spikes in the optin rates in the image above! So how can you get in to adswaps? NOTE: Once you sing up for the forum you will need to open a support ticket on my support desk below and tell me what the profile name you set up is, so that I can approve it. I do this manually to stop spam bots getting in to the forum and posting a load of junk. “Matt Garrett’s forum is worth at least $2,000 per month for me. Yup, this is one of those “secret” methods that marketers use to build their lists FAST!! So go get in the forum and start doing adswaps to build your list the quick and FREE way!!! p.s. there is also a fre report that Sean and I put together for you to help you get started, you can grab it as soon as you’re in the forum. If you have a negative attitude to being successful then you’re going to end up sabotaging your own efforts. Likewise if you listen to others with a “that will never work” attitude, then they will have a negative influence on your efforts, so don’t do it. Instead start seeking out and mixing with people who have the same positive attitude and are interested in the same things as you, see No. 5 below. Warning – it’s a LONG read! If you wanted to be a Doctor, Engineer, Lawyer or any other high paid offline “professional” you would have to spend a small fortune getting the education you need. Why should you expect to get the REAL knowledge you need online to be for free? Yes, you can learn a lot for free, but it will take more time and effort, paying for the education from someone who has already become successful will save you a LOT of time, effort and heartache! There are many, many people who spend all their time (and money) jumping from one thing to the next, without actually putting what they’ve learnt in to action. Make a plan and start working on it now. Any business that is worthwhile is going to take some time and effort to build up, marketing online is no different. The fantastic thing about an online business is that providing you are willing to put in the effort, there will come a time when you end up in a situation where you can spend less and less time “working” and still increase the money your business makes, you just have to be persistent to get to that stage, so keep your goal in mind and push on! I mentioned in No. 4 above that I know have many good friends who are successful online marketers, most of those people I met by getting out from my home office and going to “internet marketing” events. This is something that I can’t recommend strongly enough! The people you meet can not only become great friends, they can also become great joint venture partners and help you to make your business a success! At one of the very first events I went to I met a great bloke who became a joint venture partner of mine, and the very first promotion he did for my product a few days later more than paid for all the costs of me going to that event, even the bar bill! Don’t be afraid of getting out there in to the “real world” and meeting people, it will help push your online business forward by leaps and bounds! [UPDATED May'09] Side Note: there’s a great chance to get together with a whole bunch of top class Ineternet Marketers in Musiccity, Tennessee in the US on June 19th -21st! Note ++>> there’s a “2 for 1″ on the tickets at the moment, so you can split the costs with a partner, if you’re quick! The other very positive benefit of attending seminars and workshops for my business has been to build a network of other “experts” who can help me when I get stuck on something. We all get stuck on something now and then, so having this kind of network of people to help me when I need it has been worth an absolute fortune to me and my online business, but as a “newbie” internet marketer it can take you a while to build up this kind of network, so those seminars and workshops are even more important! Another marketer (who I also met at a seminar I was attending) realised that this is one of the biggest problems most internet marketers face, especially when just starting off, so he’s spent the last year building a site that allows any member to get the answers they need, when they need them, from experts who actually know the right answers! 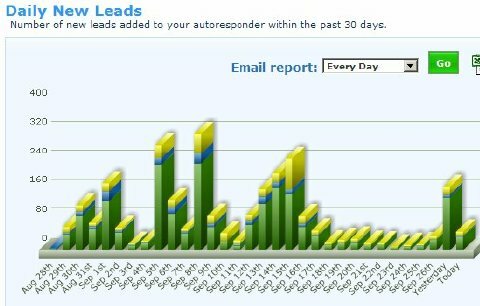 To the success of your online business!